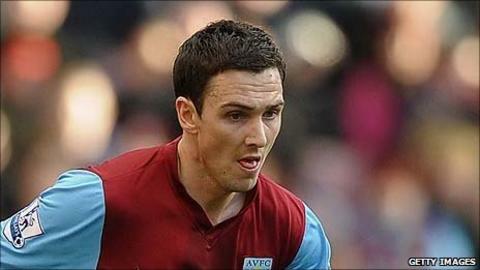 Liverpool have signed England winger Stewart Downing from Aston Villa for an undisclosed fee. The 26-year-old, who joined Villa from Middlesbrough for an initial fee of £10m in 2009, handed in a transfer request earlier this week. Downing, capped 27 times by England, has agreed a long-term deal at Anfield. Liverpool have also signed Jordan Henderson from Sunderland, Blackpool's Charlie Adam and Brazilian goalkeeper Alexander Doni during the close season. Last week, Villa turned down the Reds' opening £15m bid and it was reported the clubs eventually settled on a fee of £20m. "It's a great feeling and I'm very happy to be here," Downing told Liverpool's website. "It's been a long time coming and I've had to wait a few weeks, but I'm really pleased to be here. "With the tradition, the manager and the players they have here, there was a big temptation to come and once I knew of their interest, there was only one place I wanted to go." Downing began his career at Middlesbrough where he spent eight years before moving to Villa in 2009 for an initial fee of £10m rising to £12m depending on appearances. He won the first of his 27 England caps in a friendly against the Netherlands in 2005, when he came on as a second-half substitute. He has yet to score for the national side.